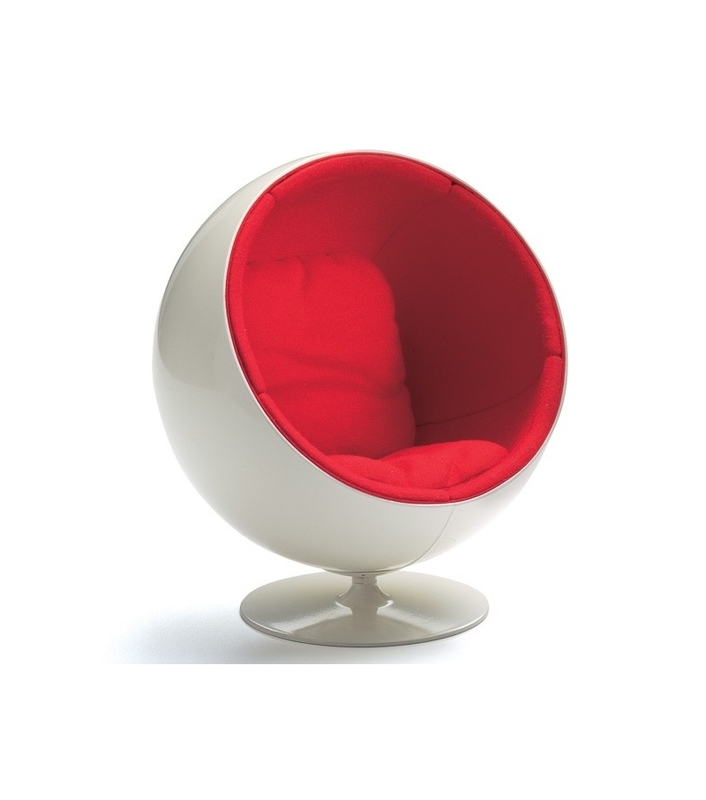 Vitra Miniature Ball Chair, Aarnio: With its simple, striking shape and its bright colors Eero Aarnio's Ball Chair is a typical symbol of the optimistic, consumer-oriented popular culture of the 1960s. The idea of this kind of mobile capsule allowing people to sit where they want within the house also anticipates the kind of living concepts discussed in the 1970s for a young, liberal society. 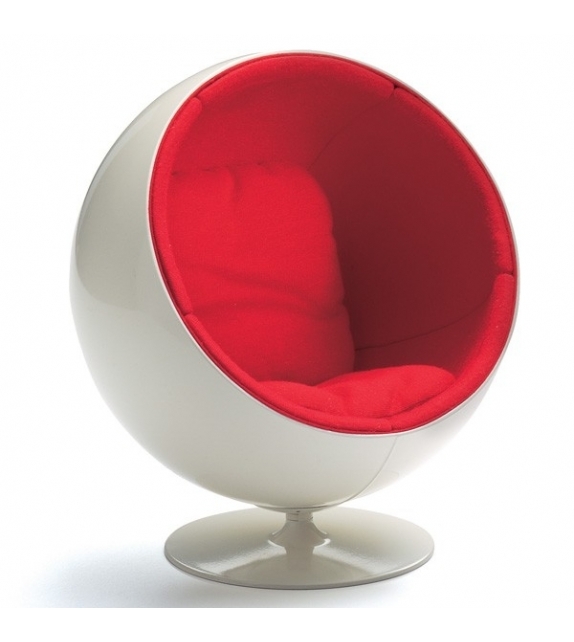 Vitra Miniature Ball Chair, Aarnio: With its simple, striking shape and its bright colors Eero Aarnio's Ball Chair is a typical symbol of the optimistic, consumer-oriented popular culture of the 1960s. Equally apparent is an unconcealedenthusiasm for the technical which also typifies the era: its exposed plastic which allowed even complex shapes to be produced in series relatively easily, at the time something completely new, and its dynamic shape, reminiscent of a space capsule. The idea of this kind of mobile capsule allowing people to sit where they want within the house also anticipates the kind of living concepts discussed in the 1970s for a young, liberal society. On the outside, this gleaming, polished sphere seems cold andfuturistic, but its inside reveals a space where users can feel cozy and protected. From the inside outside noise is considerably muffled, allowing users to relax in any number of positions, for example, to sit cross-legged. Mounted on a round metal base just above ground level, the sphere can be completely rotated on its own axis, so that users can vary their view from the »cave«. 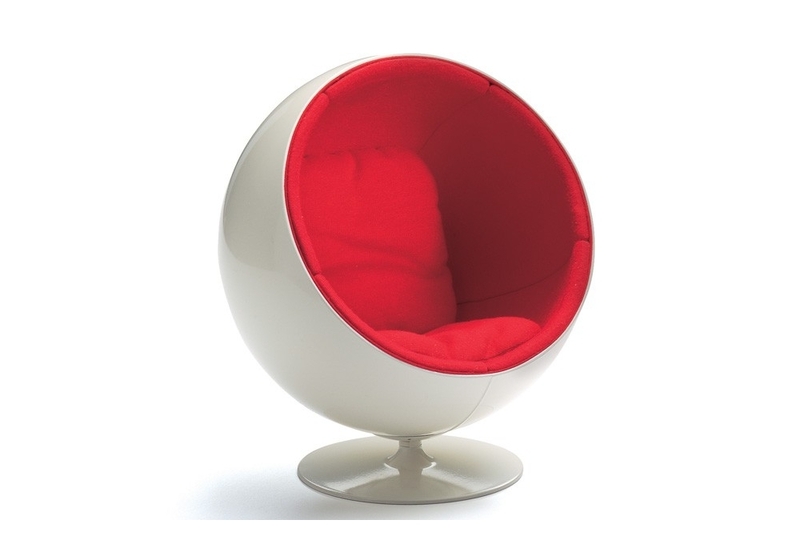 Ball Chair thusrepresents a special category of household objects. It is something between a piece of furniture and a piece of architecture and at the same time embodies both the mobile and the established, the fixed. Fiber-glass, Aluminum, Fabric.